Another elegant style, to be dressed up or down. Definitely needs a steam-clean, but we can discuss the details. Style is a simple, belted sheath (probably had a fabric-covered buckle belt originally) with 3/4-length sleeves and faux pocket detail at the hips. The fabric is a very nice shantung weave. A dress like this is SO versatile that everyone owned at least one. It’s very basic and streamlined so looks smart for errands but dresses up beautifully for cocktails or dinner with high heels, pearls or a sparkly brooch. I’m so glad to have it in my closet. Stay tuned . . . . . . . . . . . . . . . . . . . . . . . . .
Posted on March 6, 2018 by Morgana Martin, the magicvintagespy. 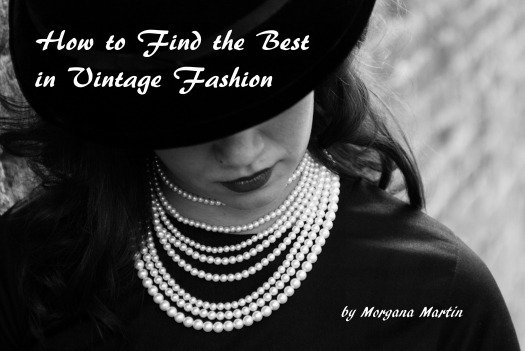 This entry was posted in blogger, classic clothing, clothing, cocktails, day dress, dinner, dress, elegant, fashion, find, guidebook, ladies, LBD, little black dress, Mad Men, magicvintagespy, photos, retro, stores, true vintage, Uncategorized, vintage, vintage blogger, vintage clothing, vintage expert, women's and tagged '50's, 1950's, 1950's, ´50´s, blogger, classic clothing, clothing, cocktails, day dress, dinner, dress, elegant, fashion, Fifties, find, guidebook, ladies, ladies', LBD, little black dress, Mad Men, magicvintagespy, Magicvintagespy.com, mid-century, photos, retro, stores, true vintage, Uncategorized, vintage, vintage blogger, vintage clothing, vintage expert, women's. Bookmark the permalink.